Learn How To Grow Onions. This versatile vegetable is always needed in the kitchen. 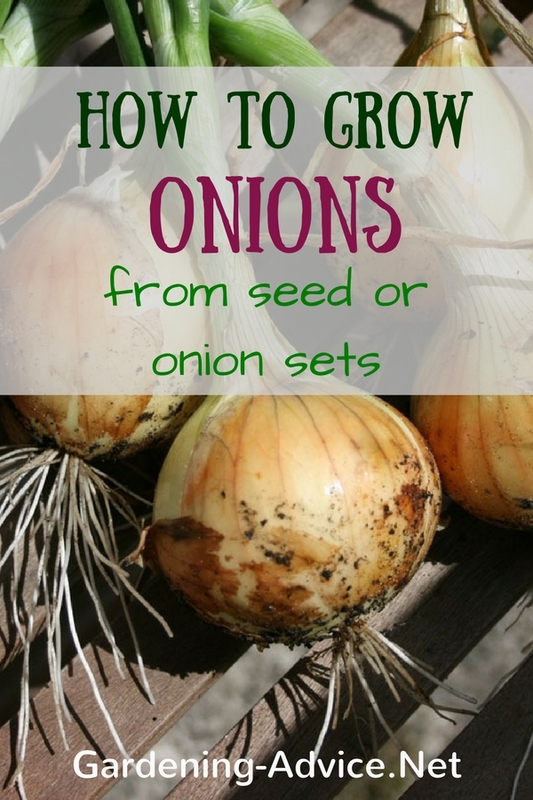 Learn about growing onions from seeds or sets. 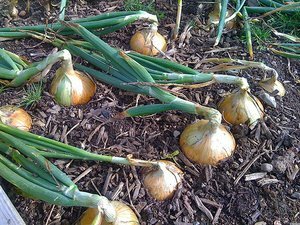 Onions are a fairly hardy vegetable that can withstand quite a high level of neglect and will grow in most gardens. You'll need either a starter set or onion seeds to begin with and both of these options will give you full sized tasty onions in 3 or 4 months. 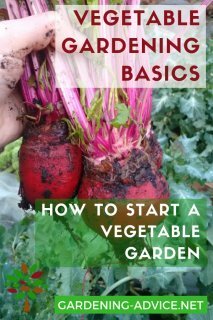 The first step in learning about growing onions is having your garden or vegetable patch set up to give them the best chance of survival. You'll need a patch of soil that gets as much sun as possible throughout the day. Add fresh compost to it the fall before you plant for a really healthy soil. If you know that you have an acidic garden with a pH level below 6, try to add lime to neutralize the soil. Lastly, make sure that you weed thoroughly, as onions aren't great at fighting off invaders. A layer of mulch helps to keep weeds at bay and improves the soil structure. Planting Onion Sets Or Seed? Planting onions is not difficult. The first rule is to water the soil first, as onions don't like being dry for too long. If you decide to plant onion sets, make sure that you put them the right way up in the soil. You need to make a shallow hole such that when you put the onion in, the soil will just cover the tip of the bulb. We always plant sets in early fall. They overwinter and produce an early crop the following season. If you're planting onion seeds, you'll need to start them off inside somewhere warm in early spring, where germination will take place between 5 and 10 days. We use modular cell trays and sow 3-4 seeds in a cell. They will then be planted out in a clump. 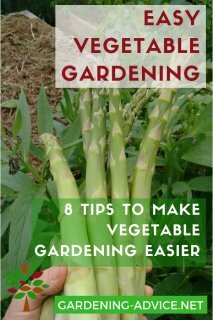 When they're ready, plant them a few inches apart at a depth of an inch. You can buy either seeds or sets here. 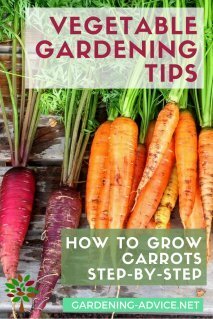 - Onions need a lot of sunlight to flourish, so you'll need to make sure that other plants aren't shading them as they grow. 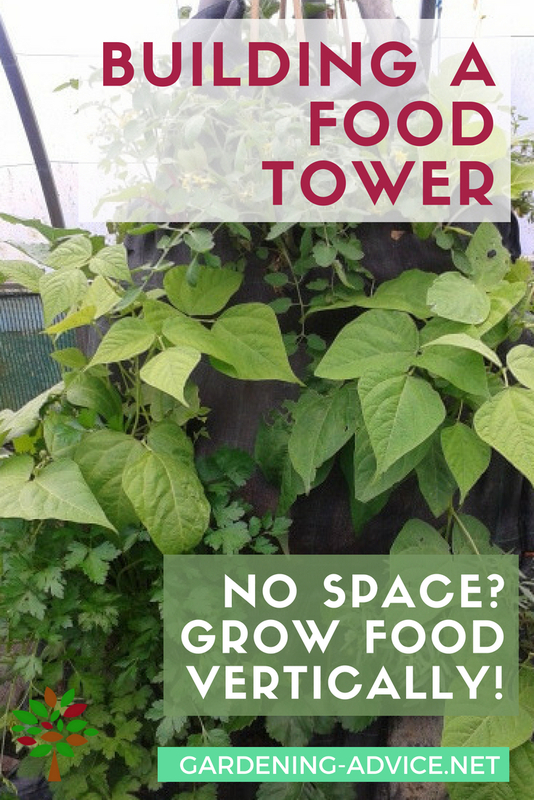 - When you first plant them, it takes a while for the roots to take hold. During this time, they are at risk of being plucked out of the soil by birds, so you may want to put a simple netting over the top to stop inquisitive beaks. - Keep on top of the weeding to protect the onions, but make sure you do it by hand as onion roots are fairly fragile. - Water the plants until the onions are visibly swollen. - Don't be afraid to cut off any flower heads that appear, as these will take growing energy and nutrients away from your onions. As with most vegetables, timing is everything when you are learning how to how to grow onions. You need to start getting the soil ready the September or October the year before you want to eat to give the ground enough time to settle. 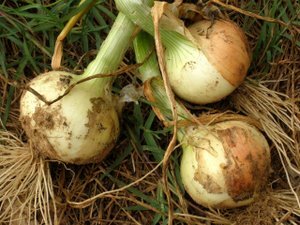 If you are growing onions from seeds, you want them out in your garden as soon after the last ground frost as possible, usually around late February. Onion sets have already been started for you, so these can go straight in the ground in March or April or in the fall in mild climates. Onions take about 3 or 4 months to grow, so you should be thinking about harvesting them in August or September. You know they're ready when the leaves turn yellow and start to fall over. Lift them gently and let them dry off well in a shaded area. You can then braid them and store them in a cool but airy place. 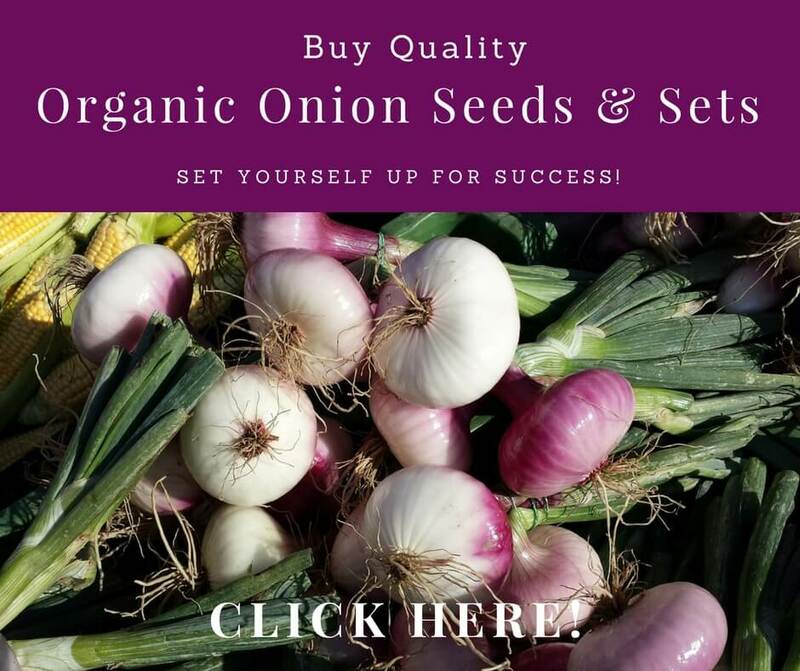 Learning how to grow onions isn't difficult, and after a year or two of practice you should be able to have them as a successful routine part of your vegetable garden. If you do decide to repeat the process, make sure you change either the soil or their location after 3 years to give the soil a chance to recover.